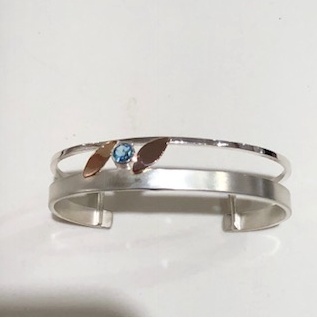 5mm Blue Topaz set between Gold leaves on a Matte finish wide band and polished small band in Sterling Silver cuff design bracelet. This double band cuff is accented with a 5mm Swiss topaz and a 14k rose gold leaf on either side. 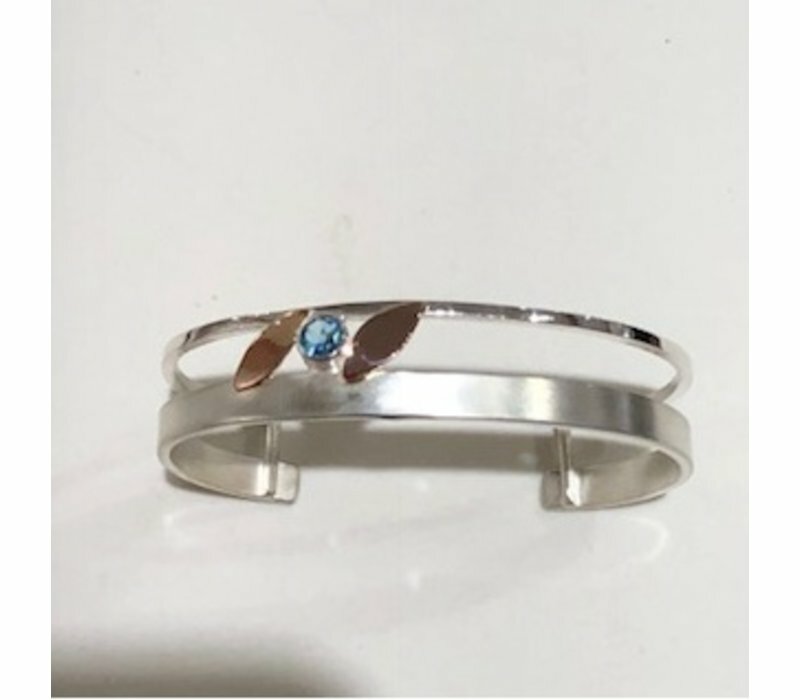 Medium sized cuff is made in solid sterling silver.